Everyone's the hero of their own story. We know this intellectually, but it's seldom really baked in. It's always surprising to discover that the bad guys think they're the good guys. Most surprising of all is the discovery that you're actually the bad guy! It's helpful to be aware of this, but that awareness comes at a price. Remember Marilyn? 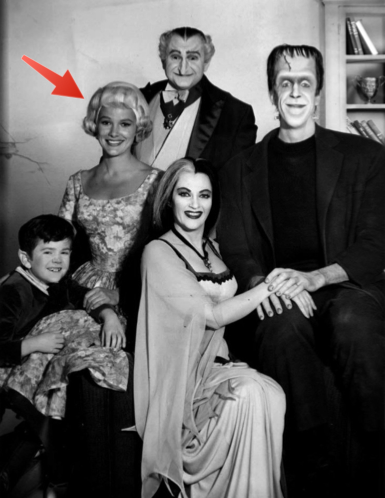 She was the healthy, "normal" family member in "The Munsters" TV series, and I hereby name a psychological syndrome after her: "Marilyn" Syndrome. If you're ever forced to engage with several psychological monsters (narcissists, psychopaths, borderlines, etc.) at a time, you'll feel like the Marilyn. But if you're sensitive and aware, an insight will arise: the others think they're the Marilyn, too. Monsters recoil from monsters because they don’t acknowledge their own monstrousness. They feel just like you do. And this can get super confusing. Once again: your instinctive reaction will be "I'm the Marilyn," and your first insight will be "They all think they're the Marilyn." After that a second insight arises for anyone with a shred of self-awareness and intellectual honesty (which is to say, it's pretty rare): Perhaps you really are a monster. After all, if monsters always think they're Marilyns, and you think you're Marilyn, and the others consider you a Monster, then you may very well be deluding yourself, just as they do. It may be true! Again, recoiling from monsters doesn’t make you a Marilyn! But for genuine Marilyns, this is the worst sort of gas lighting. It's savagely destructive, psychologically. So it's essential to know how to tell whether you're monster or Marilyn. Simple answer: The monsters, who believe they're Marilyns, rarely have insight #1 ("Monsters always think they're Marilyns"), and never, ever have insight #2 ("I may be a monster"). By even questioning yourself (in a sustained and penetrating way), you've proven yourself a bona fide Marilyn. If you wonder whether you're overly selfish, don't worry too much. That's what generous people wonder. Selfish people wonder if they're too generous. All that said, it's helpful to have an excuse to confront your monstrousness (there are no pure Marilyns; we all have at least a seed of horrendousness). If you're stout-hearted enough to face it with courage and diligence, the self-doubt can impel you to step up your game, purify your motives, and fortify your character, even if you were pretty cool to begin with. Gonna drive over to frankenfield tomorrow. the wet may weather was hard on his corn. On the way I am planning on chanting my new mantra: there are no pure Marilyns. thank you Jim.